Artimacy [ART•ə•mə•sɪ]: A close or warm friendship with the offspring of human creativity; a feeling of belonging together with the genesis of beautiful or significant things. This podcast endeavors to go deeper than the eyes can see and the ears can hear. It is truly where art and intimacy collide, providing an in-depth view of what inspires the artist to create. 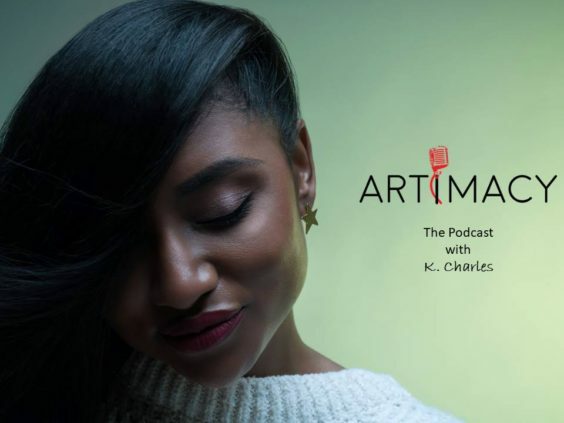 Artimacy with K. Charles (aka Keanna Faircloth) is a two-hour program that spotlights Jazz and beyond and features artist interviews. Come take an intimate journey into the heart, mind and soul of the creative. Keanna Faircloth (K. Charles) has been an on-air host at Washington DC’s station for Jazz and Justice, WPFW89.3 FM, since 2003 and currently hosts “Late Night Jazz: The Continuum Experience” airing Fridays at 10 pm. She is a graduate of Howard University having majored in Music History with a minor in Classical Piano. She is a freelance writer for NPR Music, has a worked for Radio One as an on-air personality, producer and voice-over talent, and has hosted and produced podcasts for several internet radio stations. She loves all things music and manages a private piano studio in her spare time. She is also the host of a Jazz lifestyle magazine television series called, “Jazz Encounters“, as well as GDIC TV Live Unplugged. Follow Artimacy on SoundCloud, Twitter, and Instagram.